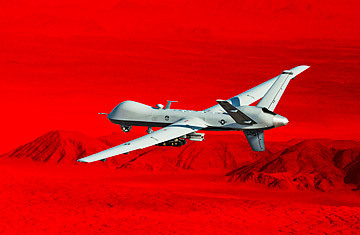 Drones are a cheap and deadly military tool. But they carry hidden costs. With the economy front and center in the presidential campaign, national security has provided mainly background noise. But both parties intend to use it to their advantage whenever they can. The Obama campaign recently released an ad that boastfully--some say shamelessly--recounts the President's decision to launch the raid that killed Osama bin Laden. But Republicans are meeting bravado with bravado. Asked by CBS News to grade Obama's foreign policy, Mitt Romney replied, "Oh, an F--no question about that."